A bill has been introduced in the U.S. House of Representatives to water down the U.S. Endangered Species Act, signed by Richard Nixon in 1973. This 44-year-old act was integral in the preservation of the beloved American symbol, the bald eagle. Meanwhile, the Senate Senate Environment and Public Works Committee held a hearing this week on the Endangered Species Act. The lawmakers assert that the act negatively affects logging, mining, and drilling and imposes restrictions on privately owned land. The environmentalists protest the destruction of species that are interrelated with other species, including human beings. The official title of the bill, as introduced, was, “To amend the Endangered Species Act of 1973 to require review of the economic cost of adding a species to the list of endangered species or threatened species, and for other purposes.” What this does is bring the financial concerns and priorities of modern-day communities of people into cases made to preserve diverse species for an unseen future. The sponsor and cosponsors of the bill are all Republican congressmen from Texas: Pete Olson, 22nd District; Michael Burgess, 26th District; Louie Gohmert, 1st District; and Brian Babin, 36th District. Their districts contain natural gas reserves, agriculture and livestock, the Johnson Space Center, and a forest. Rep. Gohmert’s district in particular has significant hardwood forest that is used for timber production. Gohmert is a senior Republican member of the House Natural Resources Committee and its Oversight subcommittee chair. 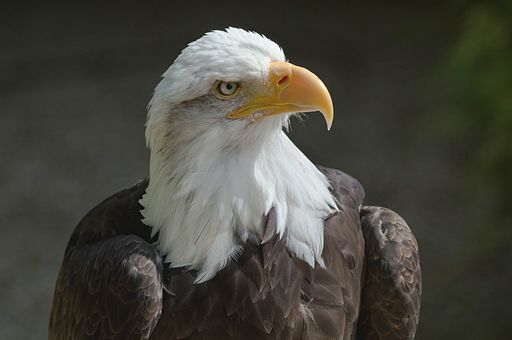 For more than 40 years, the ESA has been successful, bringing the bald eagle, the American alligator, the Steller sea lion, the peregrine falcon and numerous other species back from the brink of extinction. Based on data from the (Fish and Wildlife Service), the ESA has saved 99 percent of listed species from extinction. Ironically, the Natural Resources Defense Council (NRDC) filed a lawsuit against the Interior Department and the U.S. Fish and Wildlife Service, an organization it oversees, just this week. The new administration has delayed the Endangered Species Act protections put in place in January by the Obama administration for the rusty patch bumblebee, moving it until at least mid-March. Bees are critical to the pollination of a multitude of crops and have been suffering from hive die-off.